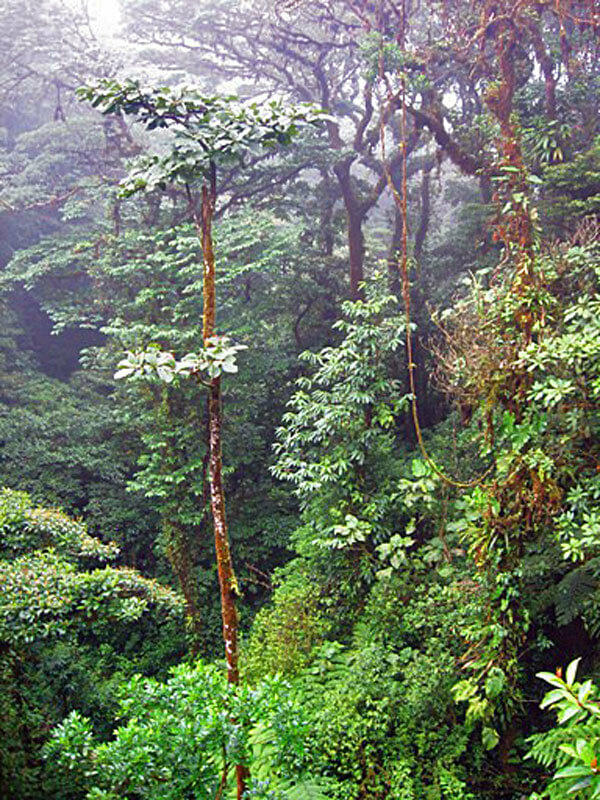 After visiting the Monteverde Forest, it is easy to see why National Geographic has called it “the jewel in the crown of cloud forest reserves.” With its vast biodiversity and spectacular sights, visiting the Monteverde Cloud Forest Reserve is not something you will want to miss. Each year, over 70,000 people flock to visit this incredible forest. 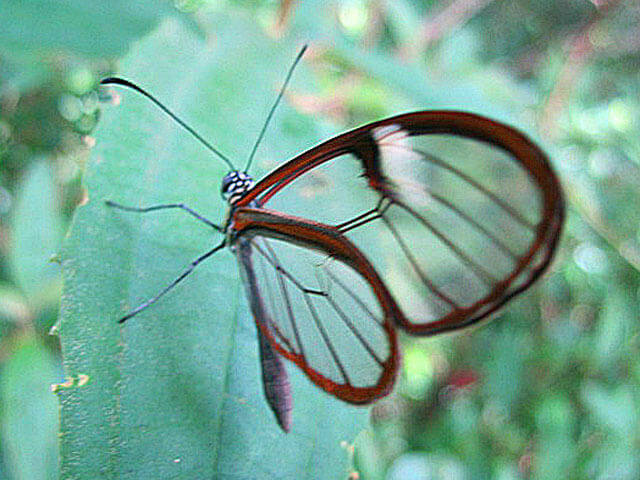 The Monteverde Cloud Forest Reserve is a gold mine of biodiversity. Here you can find over 3,000 different species of flora, including over 400 species of orchids. Monteverde is believed to have the largest number of orchid species in the world. You will also notice the vast abundance of mosses and epiphytes, along with numerous types of vegetation. In addition to the 500 resident bird species, you can also see North American birds on their migratory route through the area. 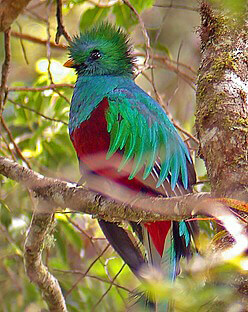 In Monteverde, it is possible to see exotic birds that you would have little or no chance to see elsewhere, such as the majestic Resplendent Quetzal. With more than 10% of the world’s butterflies residing in Costa Rica, the Reserve is an excellent place to see some of these butterflies take flight. Amphibians and reptiles are abundant with over 120 different species, including various species of salamanders, tree frogs, lizards, and snakes. There are over 100 species of mammals including anteaters, sloths, armadillos, monkeys, paca, kinkajou, and several types of cats (although very rarely seen by vistors). The Reserve contains 13 kilometers of walking trails along with several viewpoints, an observation deck where you can see the continental divide, and a hanging bridge where you can look down at the forest through the tree tops. While not required, it is suggested that you take a guide with you on your hike to get the full experience. These guides have expert knowledge of the Reserve and the species that live there, and will add to your educational experience. Visitors have also reported seeing more animals with a guide rather than on their own. And even if nothing is spotted the guides make the forest come alive with their vast knowledge of the fascinating ecology of a cloud forest. Some of the flora that seems so innocuous can actually turn out to be some of the rarer carnivorous plants (2 main types in Monteverde: Lentibulariaceae and Utricularia sp) which insects spend their short lives doing their best to avoid! With the help of the Tropical Science Center, a foundation for tropical conservation, George Powell and Wilford Guindon established this private nature reserve in 1972 to protect the forest from the threat of local farmers wanting to expand their property on these forest sites. Originally, the nature reserve consisted of 810 acres, but today it currently covers 26,000 acres. Not only is this a once-in-a-lifetime experience, but by visiting the Reserve, you are actually helping to conserve these forests because all of the money earned from tours and other services are used for education, preservation, and research programs. You can book a tour of the reserve with transport from your hotel, tour and entrance all included.